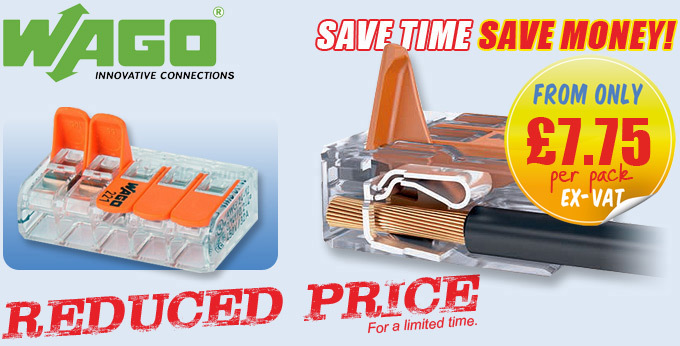 WAGO's 221 Series COMPACT Lever Operated Connectors are the new "superstars" for electrical installations, allowing solid, stranded and fine stranded cables to be connected faster, more reliably whilst minimising the amount of space used in junction boxes. This new series is 40% smaller and even more user-friendly than its successful predecessor, the 222 Series. Due to their extremely small dimensions, WAGO's 221 Series Connectors are ideal for space-restricted applications. Installation is made much easier, while providing additional freedom for future expansions.